Can Chronic Pain Be The Basis For A Long-Term Disability Claim? As part of their benefits packages, many employers provide long-term disability (LTD) insurance coverage to their employees. Although it generally provides a financial benefit if and when an employee in incapacitated with an injury, thus making it very similar to both workers’ compensation benefits and Social Security Disability Insurance benefits, there are some distinctions. One distinction is the determination of what qualifies as a disability, and using the services of an experienced LTD attorney can be crucial to presenting an applicant’s case in the best possible light. Recently, a woman in Washington won a lawsuit against her insurer who denied her LTD claim, after initially allowing it, based on her diagnosis of fibromyalgia. A discussion of the difficulties of using chronic pain as the grounds for LTD claim, and how to bolster such an application, will follow below. As alluded to above, LTD insurance benefits may be accessed to provide financial support to a disabled employee. Although LTD policies may be purchased individually, if part of an employer’s benefits package, the policy is governed by the Employee Retirement Income Security Act (ERISA). In cases in which the applicant for benefits has a condition that is characterized by chronic pain, it is important to understand that such conditions can be difficult to diagnose. Some days, the pain is debilitating; sometimes, it seems controllable. This difficulty is primarily a result of the fact that there is no objective test for many chronic pain issues, and diagnosis is based largely on self-reported symptoms. Although each LTD policy is different, generally, insurance adjusters will look for consistency in symptoms, as well as a regular effort, on the part of the applicant, to seek treatment. In the lawsuit above, the applicant’s physicians noted that her condition actually appeared to deteriorate, despite a history of treatment, and that her limitations will most likely be lifelong. Medical Treatment. 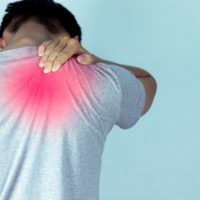 In addition to treatment from a general physician, if chronic pain is involved, it may be worthwhile to seek treatment from a specialist, such as a rheumatologist or another physician who uses different diagnostic techniques to evaluate a patient. An accurate accounting of all symptoms, both mental and physical, should be kept, such as in a journal. Not only will this help one’s physician, but it can also provide support for an experienced attorney in developing a strong claim. Physician Opinions. Probably the most critical aspect, a physician’s opinion should identify the extent of any work-related limitations, including the length of time an applicant can sit, stand, and walk; the amount of weight he/she can lift and carry; and the ability to bend, stoop, balance, crouch, and crawl. Additionally, the physician opinion will indicate whether work will need to be missed, whether on a day-to-day basis or via breaks within the day. If the applicant is also seeing a mental health professional, an opinion from this person should also be provided. Finally, third-party reports from persons such as friends, family, and colleagues can help to bolster an LTD disability claim. If you, or a loved one, have been diagnosed with a condition involving chronic pain and are considering filing, or have already filed, an application for LTD benefits, the services of an attorney having experience with LTD applications can be the difference between approval and denial. The legal team at Farrell Disability Law has the experience necessary to help you obtain the benefits to which you are entitled. Contact our Jacksonville office today.